New Apartment, Fully Furnished, Ready to Move Into!! 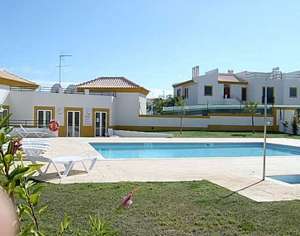 The Quinta Dos Brejos is a quiet and peaceful complex yet within easy access of all amenities. It is located between the old town and the 'Strip' area known for its many excellent restaurants and bars. There is a Golf academy near by with driving range about 5 mins walk from apartment. 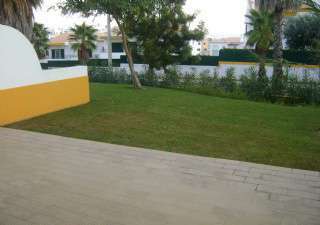 This apartment on offer is on the ground floor, measures 90.58 square metres and is fully furnished, ready to move into. It comprises a large open plan lounge with 2 bed settees, 2 coffee tables and dining area, a kitchen fitted with electrical appliances and everything you could need for self catering. 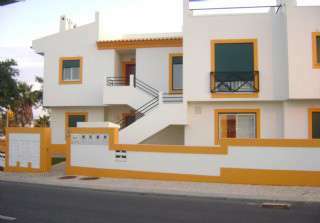 There is one bedroom with 2 single beds, built-in wardrobes and one bathroom with top of the range sanitary ware. Patio doors in the kitchen open onto the terrace and there is a private garden front and rear and a covered area for private parking. It is a 20 metre walk to the shared pool and the shower/changing room. 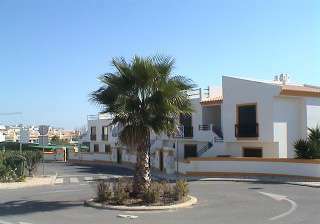 The local bus service stops at the apartment and will take you to both the centre of the old town and the new town. The Albufeira Gypsy market is located 5 mins from the apartment beside the local bus station and the largest shopping complex in the Algarve "Shopping Algarve" is only a 10 min taxi or a 15 min bus journey away in nearby town of Guia. This centre has to be seen to be believed, it has all the designer shops, sports shops, 10 pin bowling, multiplex cinemas and top class restaurants plus all the top fast food outlets. The Algarve is one of the most popular tourist destinations in Europe, catering for every taste with beautiful sandy beaches, great night life and plenty of restaurants and bars. Although most people visit during the summer, it is also popular during the winter season because of its mild climate. It is a golfer�s paradise as it has some of the world's most famous golf courses. The Algarve also has an abundance of beautiful, clean, sandy beaches, whether you prefer long sandy stretches with lots of sporting facilities or tiny isolated coves, you certainly will not be disappointed. For the kids you have the centres Slide and Splash, Aqualand and Zoo Marine only 20 mins drive away. 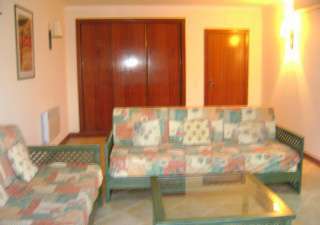 Furnished details : Lounge: 2 bed settees, 2 coffee tables, dining table and chairs. 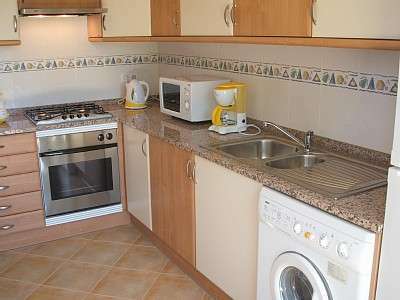 Kitchen: fully equipped with electrical appliances. Bedroom: 2 single beds, built-in wardrobes, bedside cabinets and dressing table. 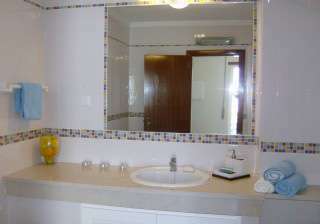 Bathroom: top quality sanitary ware. 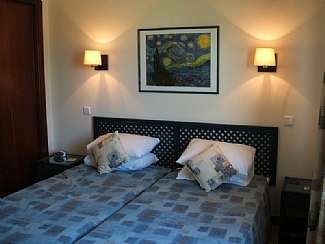 Extras: air conditioning, central heating, all bedding, curtains and towels.